It’s never a great feeling when your loved pet has to undergo surgery. However, knowing your pet is in experienced, skilled hands, and supported by the best facilities and equipment certainly eases the worry for you. Bellarine Veterinary Practice, Geelong, has the equipment, facilities and fully-trained staff to take the very best care of your pet while undergoing veterinary surgery and to support them throughout their recovery. Three of our six clinics are fully equipped hospitals, capable of dealing with simple or complex vet surgery. Our Newcomb practice has been the only accredited Australian Small Animal Veterinary Association (ASAVA) hospital in Geelong since 1990, with the only difference between it and our Drysdale and Ocean Grove practices being Newcomb has an isolation ward. 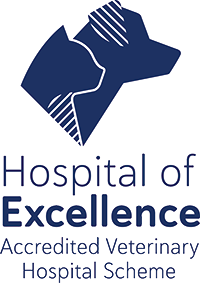 All of our hospitals have the facilities and capability to support common procedures, such as desexing cats, as well as complex surgeries such as orthopaedic surgery. The Bellarine Veterinary Practice team is supported by a large range of advanced veterinarian imaging, including ultrasound and endoscopy. Whether it’s desexing dogs or treating an injury, you can be sure of Bellarine Veterinary Practice’s dedication and skill. Contact us to make an appointment with our veterinarians for any of the following procedures.